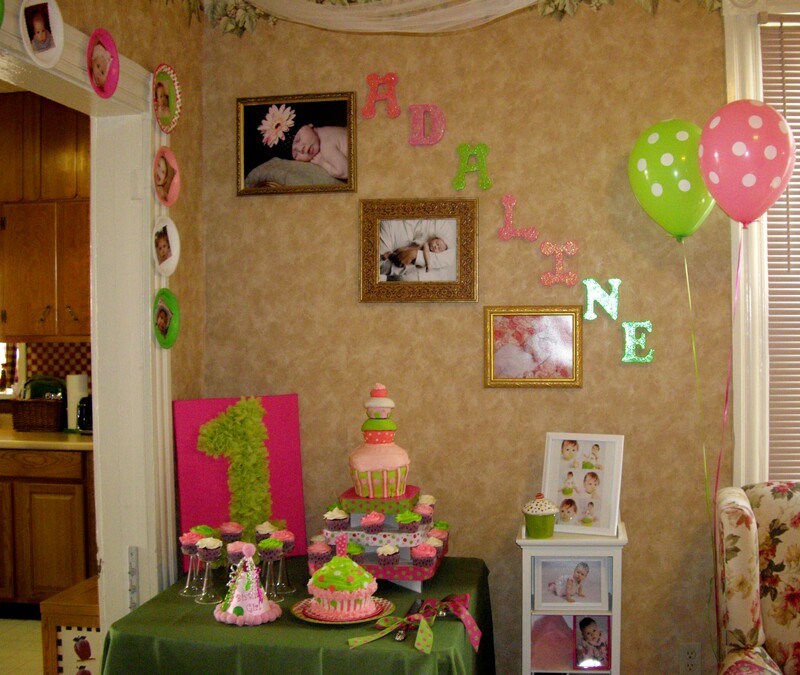 Posted on August 17, 2010, in Adaline, Birthdays, Parties and tagged Birthday Traditions, cupcakes, first birthday, girly, Parties, photos, pink and green, Polka Dots, topiaries. Bookmark the permalink. 44 Comments. Yay, my first ever comment! Thanks so much, Brittany! 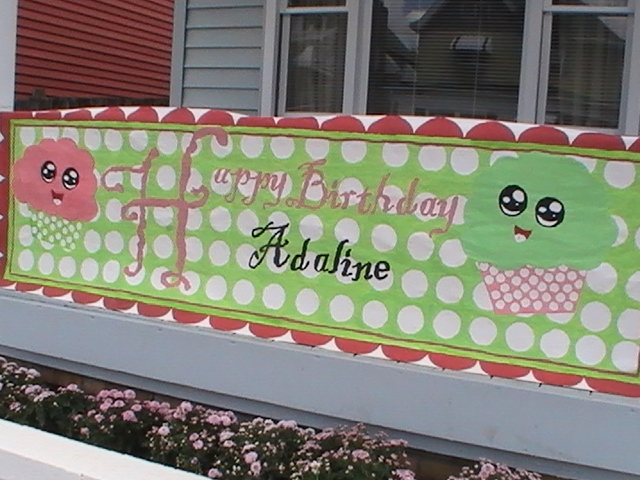 I thought they were darling when I saw the idea on PolkaDotBirthday.com and said to my mom “We can make those, right?”. 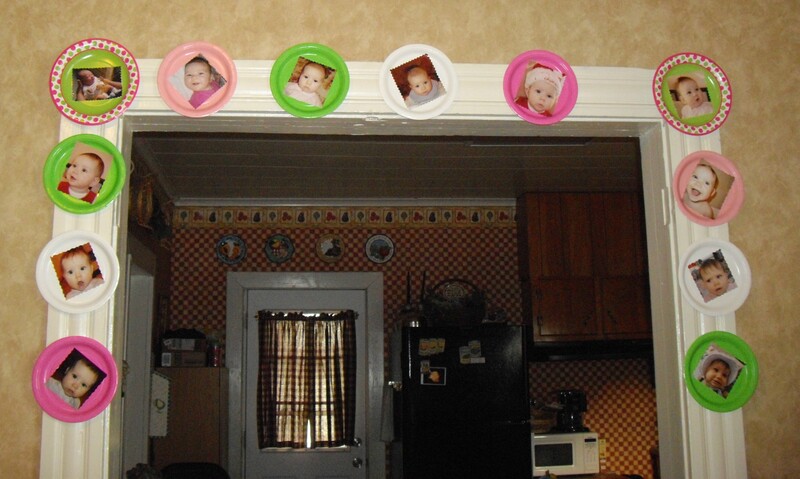 I’m not crafty at all, but I found them pretty easy to make. They ended up costing about $20 each. Again, thanks so much for your comment! 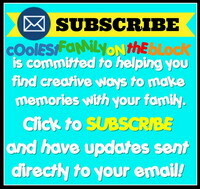 I’m going to go check out your blog right now! that sure looked like a fun party! It sure was Cool Daddy 😉 Love ya! AWESOME PICTURES, Jenny!!! She is so very cute. Matt even muted the Steeler game to listen to every thing you wrote for each of the pictures. Keep us in mind any time you need “friends” =) Love you! Haha, thanks Sissy! Thank you for all of the photos and videos that you took, too 🙂 Love you! You are really amazing. Martha Stewart better watch out.What a birthday party.Should have been in a magazine. Great photos too. WOW!!! Now just remember you have to TOP it EACH YEAR!! HAHAH ! Good job! 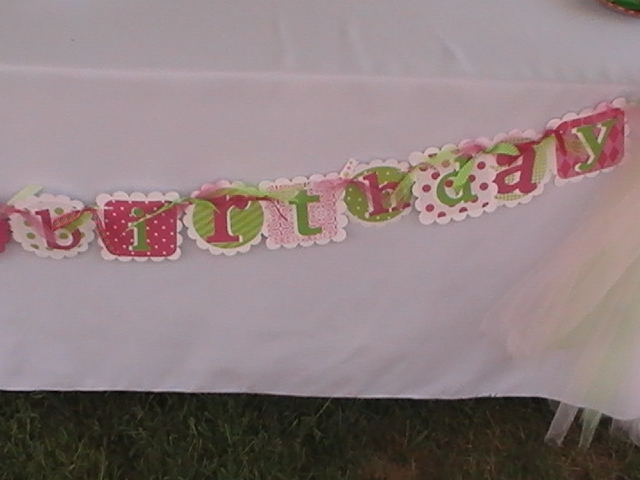 It was a Purty Party!! Thanks, Shannon! I’m already planning her 2nd birthday just to get ahead of the game! I have plenty ideas for topping it, but I’m not sure the old bank account can take it for too much longer 😉 Time to get more thrifty and creative! Wow! I LOVE it!!!! Sooo cute! 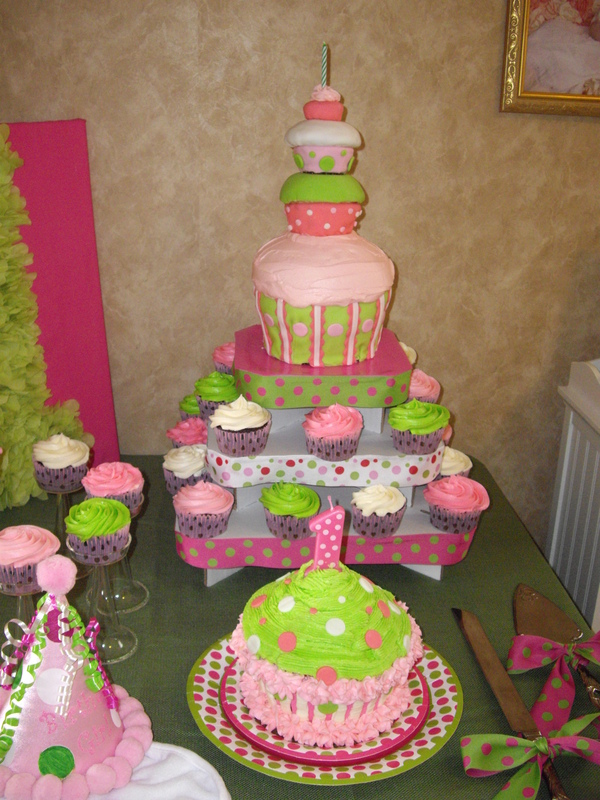 I love the colors and the cakes-oh my! 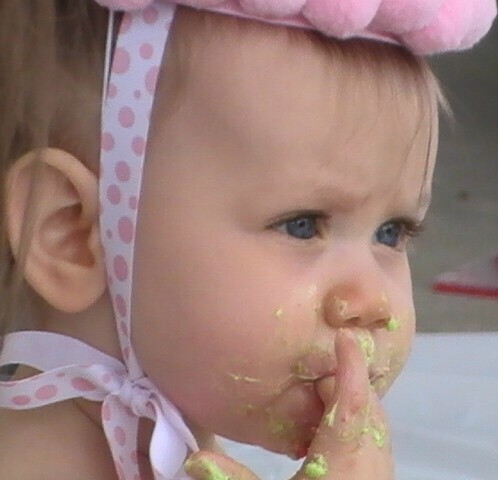 And the pictures of her eating the cake—too cute! 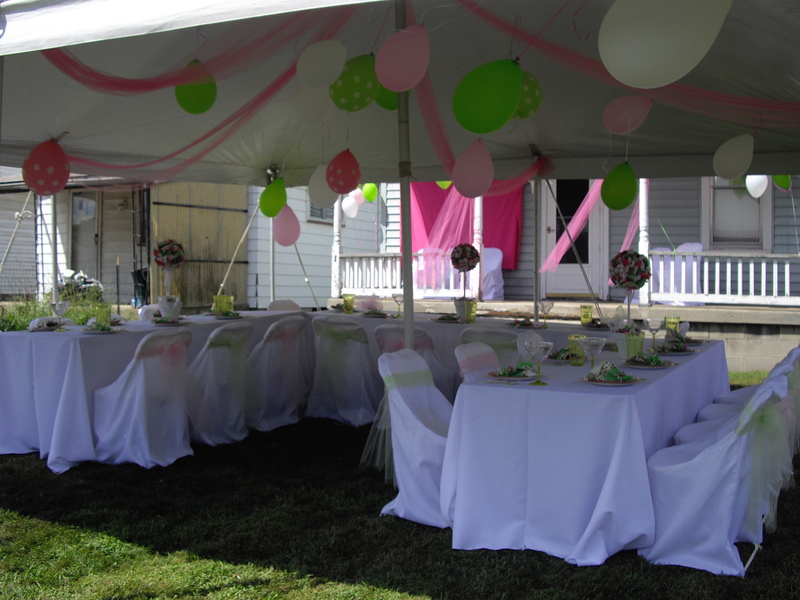 And I love that you decorated with pictures of her and made such a beautiful formal affair in your backyard!! So special! words. where are my words?! oh! the CAKE!!! that was a masterpiece – please tell your mom i said so, my sister’s godmother [who made all our cakes, till i was 12 or 13] was a professional, and that looks at LEAST as good as anything she ever got awards for! [one that she got an award for – my youngest sister has a BDay that sometimes falls on Thanksgiving. Terry made a chocolate TURKEY cake! it looked AMAZING – my middle younger sister tore a leg off, and ate it like a turkey leg, my oldest younger sister was impressed with the fact that it did, indeed, have “white meat” – the breast area was white cake lol. my youngest sister was, i think, 3, and she really thought it was turkey and cried because she DIDN’TGETACAKE!!! until middle younger sister pulled the leg. it was, all around, pretty awesome. 🙂 but that cupcake cake is better!] mahap your mother should try for awards! it’s so CUTE! the whole THING is cute! when she turns 13, this is what i did for my niece: tie-dyed cake [well, it’s a RAINBOW cake, but she saw it and declared it “rainbow”] now, i am ANTI-CRAFTY – i’m just horrible at things like that. but this, i could do. i used plain white frosting – the case was a SURPRISE. niece did NOT know that it was rainbow, and was VERY pleased with her surprise – but for a younger girl… i dunno. anything else i’d try would fall apart [seriously – i tried to put “Happy BDay Phoenix” and what it ended up being, once it was transported,, was something like “Hipoy BByy Phoooo\” she laughed and laughed and laughed at that 🙂 ] i’m sure you can come up with something AMAZING, thought. PS: THAT WEDDING DRESS AGAIN! Thank you 🙂 My mom has been decorating cakes (with buttercream) for 30 years now, but she’d never worked in fondant before, so she wasn’t too thrilled with how it looked. I thought it looked great too, especially for it being her first time! She’s pretty much told me that she’s done with the cake decorating because as she’s getting older it’s too much on her back and her hands cramp up using the icing bag (or whatever it’s called), so I don’t think that she’ll be entering any cake contests. Turkey cake: That cakes sounds awesome! 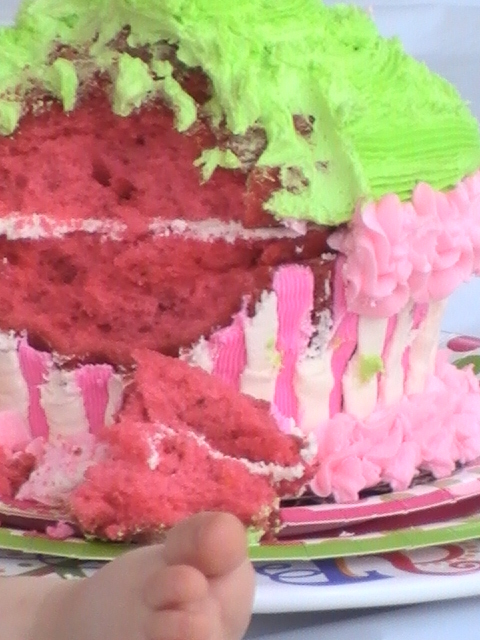 I love the added touch of having different colored cake for the white and dark meat…tee-hee! I’d be pretty disappointed too if someone gave me a giant turkey for my birthday instead of cake, but a giant turkey cake is even better! 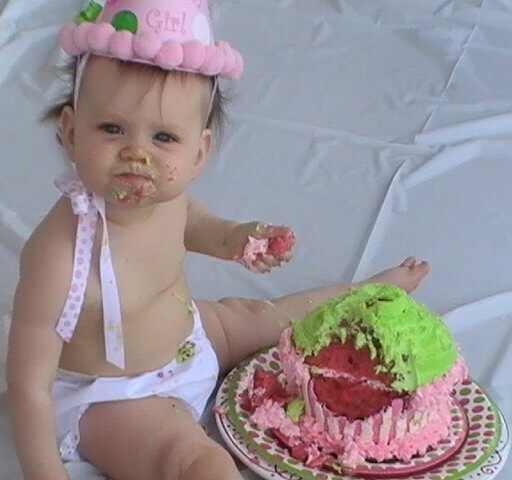 Yeah, nobody did “smash cakes” when I was little. 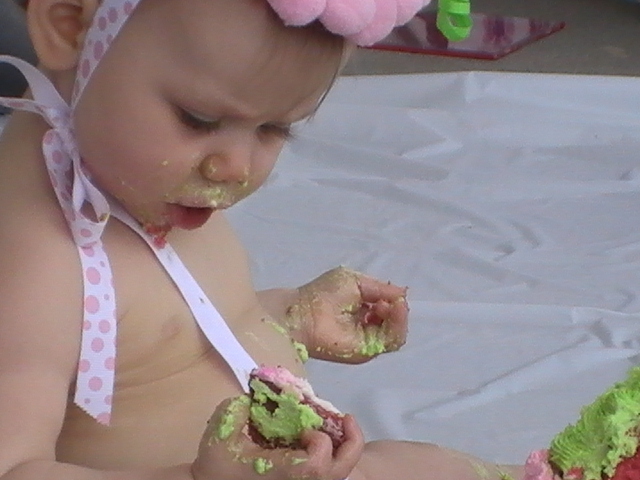 The kid just stuck their hands in the cake everyone else was going to eat (ew!). They’re pretty popular now, though, so that the little ones can dig right in and no one has to eat the “hand-me-down” cake. I cracked up when you said that “crafts run from” you! So funny! 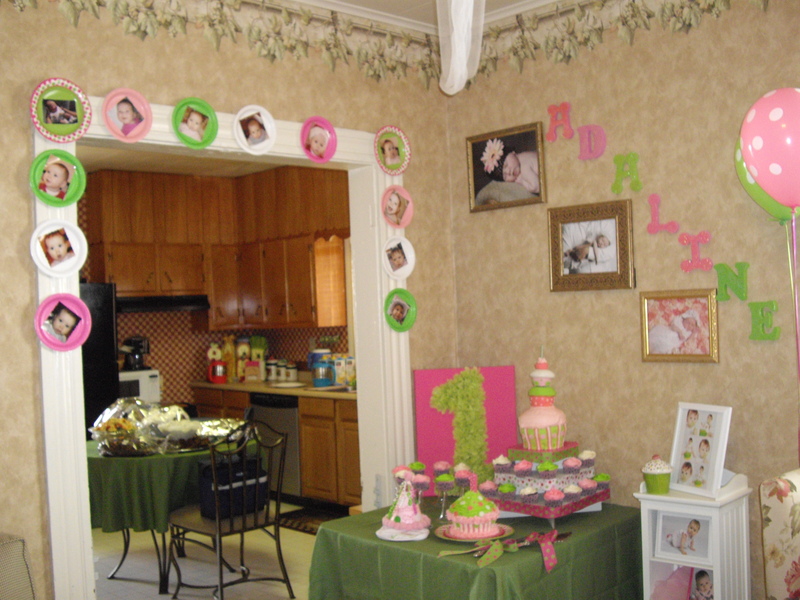 I know what you mean, though, because this party was the “craftiest” thing I’ve ever done (and even still I just bought a lot of the stuff instead of making it myself!). 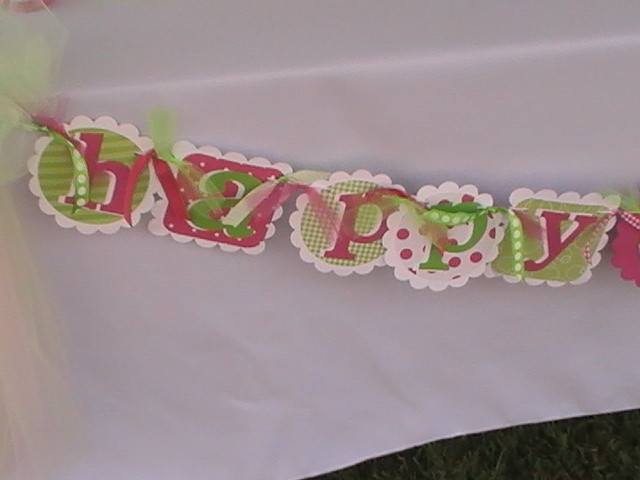 I actually really hate doing crafts, but I really want my daughter’s birthdays to be special. We tried for almost 5 years to conceive her and I feel like her birth should really be celebrated because we’re just so happy to have her 🙂 So, I made a big deal out of her birthday and, yeah, I started trying to make some crafts so that the day would be special. I LOVE the Hobby Lobby, but the only one that we have is an hour away. It’s probably a good thing otherwise I’d probably spend a lot more money there than I should! Hipoy BByy Phoooo: Again, I cracked up at this…too funny! 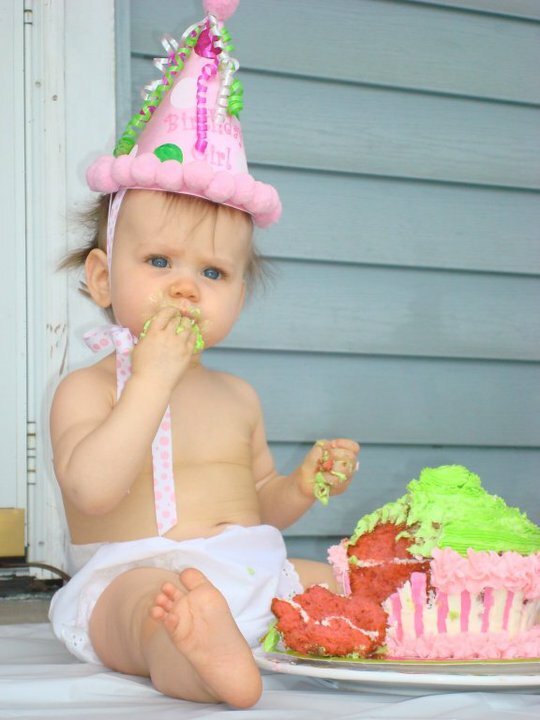 I’m sure that your niece will never forget that cake. Sometimes it’s things like that, that aren’t perfect, that give you the fondest and funniest memories! Plus, in my opinion, anything that can make you laugh is ten times better than something that makes you go “Aww, how cute!”. Wedding Dress: Thank you! We had to drive 3 hours away (to Johnstown) to find a dress like that. I really wanted a “royal” wedding and I sure got one 🙂 I’m going to be doing a post with more photos of the wedding sometime around June (for our anniversary). Denelian, thank you again so much for stopping by my blog and leaving such thoughtful comments. I really do appreciate it! In fact, if you happen to have any photos of the cakes that you mentioned (the turkey and rainbow cake and even the “Hipoy BByy Phooo” cake), I’d love to feature them on my blog if you don’t mind. I think my readers would really enjoy the photos along with your great stories about the cakes! It would be great if I could feature the rainbow one around the beginning of March for St. Patrick’s Day and maybe we can save the turkey one for a post around Thanksgiving. Let me know if you have any photos and would be willing to share them and your stories on my blog. Oh my goodness. 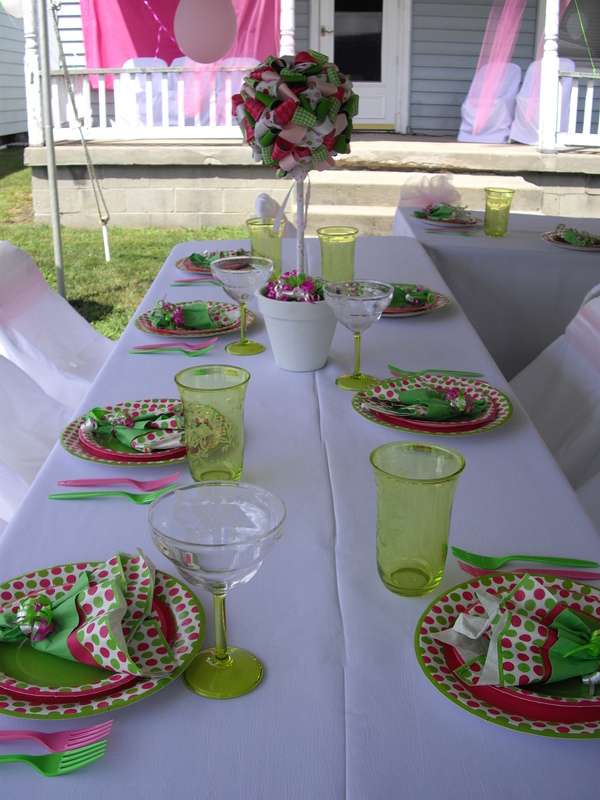 You are the best party planner ever! seriously! WOW! I love all of the details you thought of. The ice cubes! And the time line is brilliant. What a good idea. 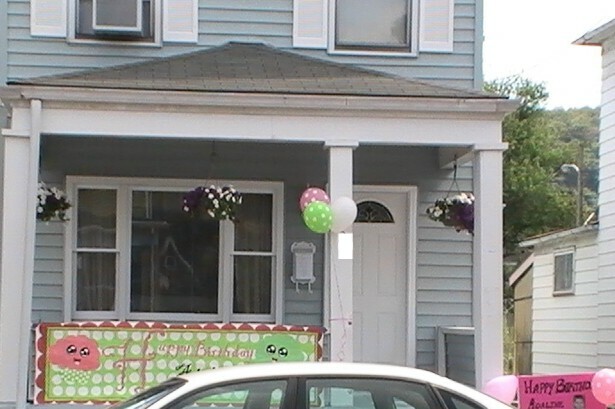 I am planning my daughter’s first birthday & came across this block. 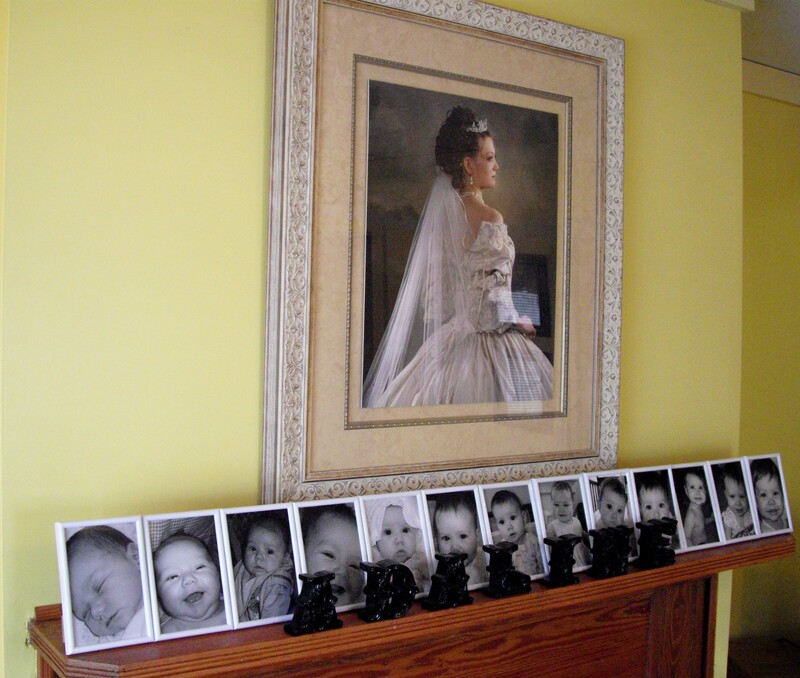 I LOVE how you decorated! 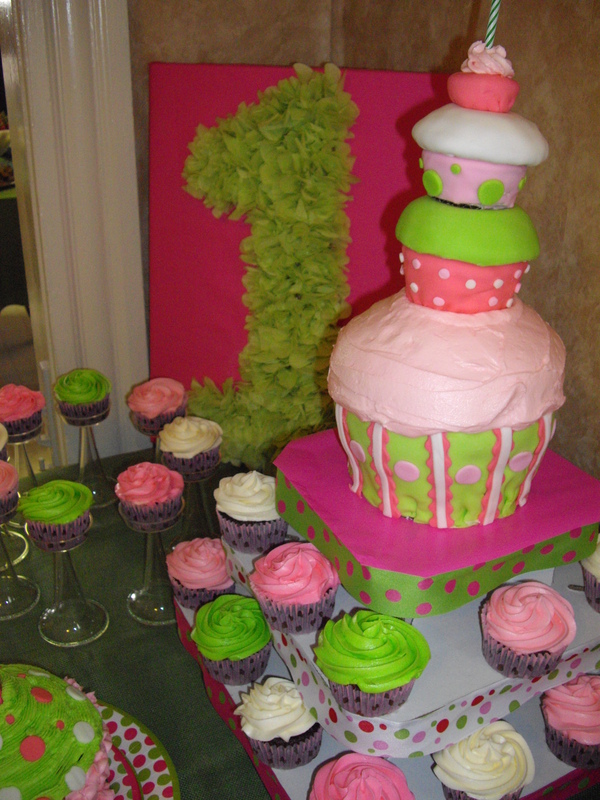 I am wondering how you made the tissue paper number 1 sign, it’s sooo cute! 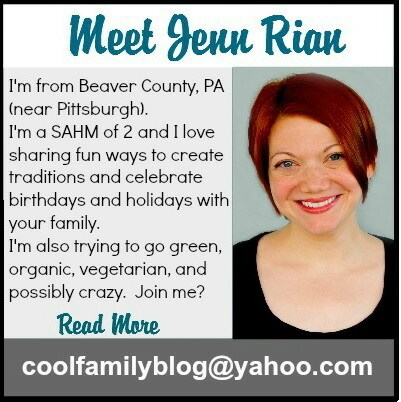 Thanks, Jenn! The party was a lot of work, but I loved it. 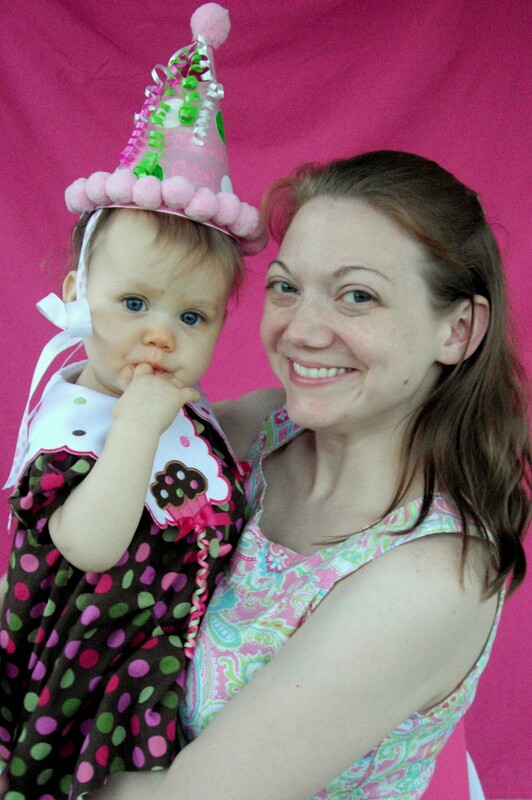 I’m already planning her 2nd birthday (I’m thinking Lady Bug theme). (Mine looked awful at first…took me awhile to get the hang of it. 6. I twisted the bottoms of the tissue paper flowers and hot glued them to the pillow case inside the chalk outline. Like I said the original tutorial that I found and used was http://www.prudentbaby.com, they give details and show pictures of how to make it. Tell me about it! It looks so easy, but it’s hard to get them right. Mine looked like weird squatty little gingerbread men, at first. I think I was doing it for about an hour before they started looking decent! Did you buy those cupcakes or make them? 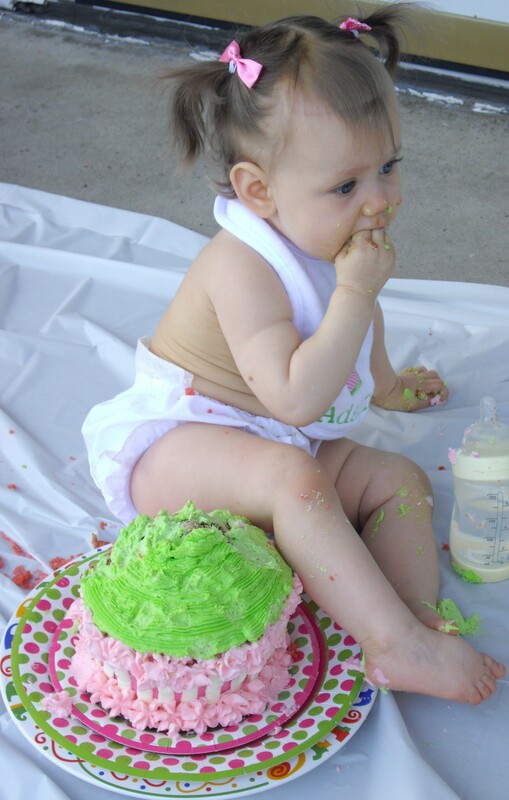 And how did you decorate the big cupcake, do you just have piping bag & all the tips? Sorry it took me so long to respond, it’s been a little busy around here lately! My mom made and decorated the cupcakes. The big cupcake that was used as the smash cake was made from a Wilton’s pan that I got at The Hobby Lobby (they also have them at Wal-mart). My mom has been decorating cakes for years and she did already have the piping bag and all of the tips. 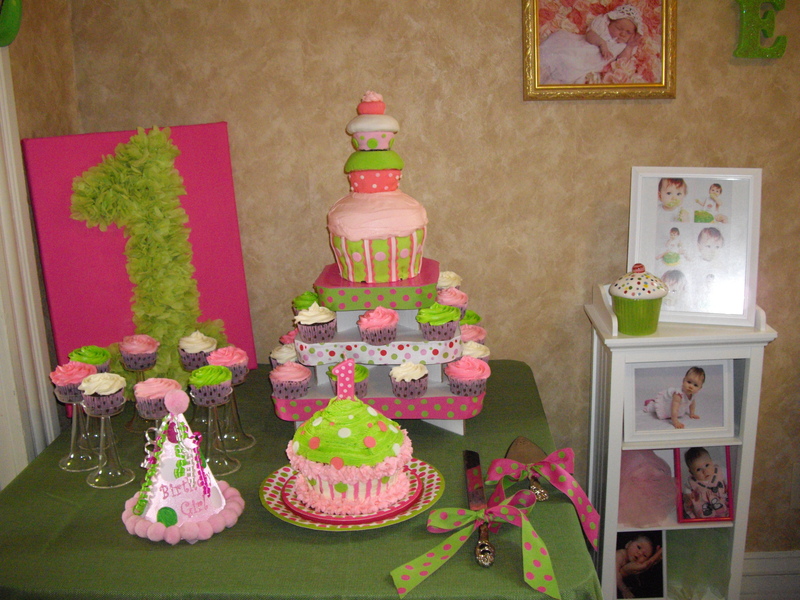 I’m going to have her take a look at the photos again and see if she can remember/figure out which tips she used for the smash cake and the cupcakes. The stackable cupcakes were all covered in fondant and we got the fondant and all of the decorating supplies at the Hobby Lobby (I think they sell the kits at Wal-Mart and Michael’s too). I’ll get back to you if my mom can figure out which tips she used. That cake is spectacular! FYI – I just found out that our public library has hundreds of cake pans and candy molds available for check-out. They said a lot of libraries do that. I thought it was a great idea – save the $20 of buying the cake pan in a shape for one use. My Grandma made all the ice for me and I’m pretty sure that she just used food coloring. 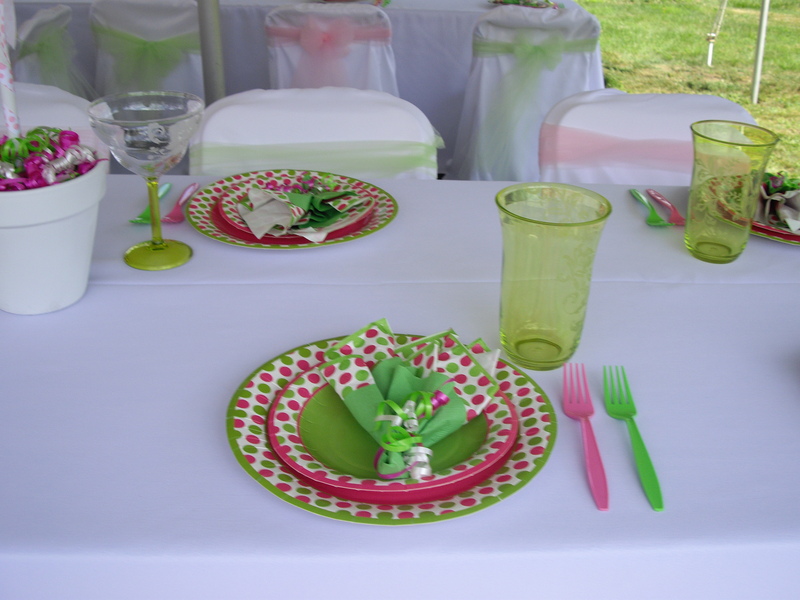 Yes, it does tint light colored drinks (like lemonade)…the green was the worst! But darker drinks like iced tea or cola will probably be fine. You could actually just freeze colored flavored drinks such as Kool-Aid, pink lemonade, limeade, and/or juices. 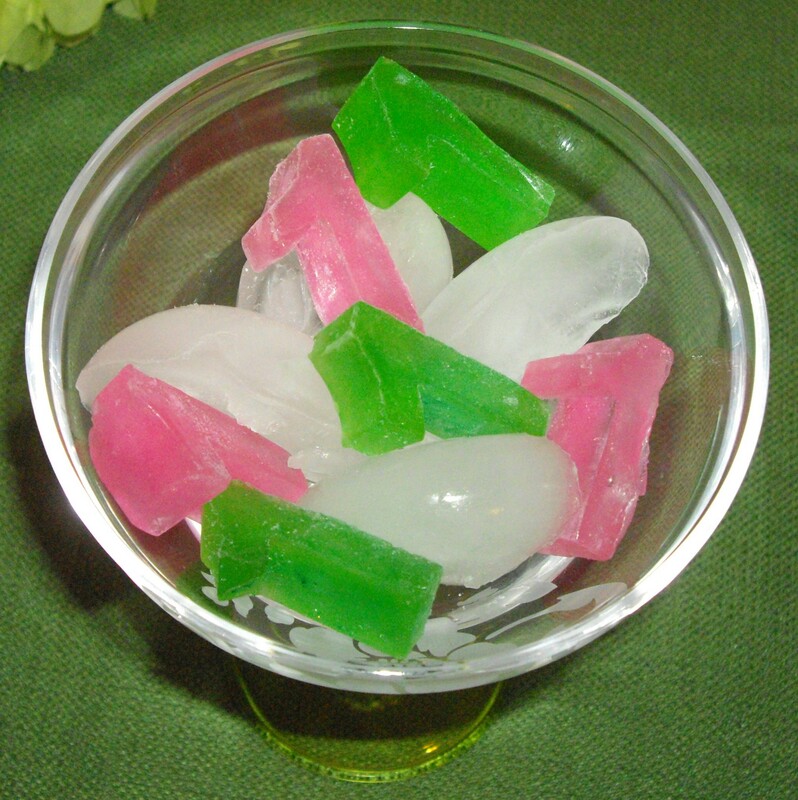 I also offered plain ice just in case people weren’t crazy about the colored ice. This year my daughter’s theme is going to be a Ladybug Picnic and I got #2 ice cube trays. I’m planning on filling them with cranberry juice and blueberries so when they freeze they’re red with “black” polka dots 🙂 Hopefully it works out as planned. That is very helpful…THANK YOU! Good tips too by the way. You and I seem to think alike. I too, want to do a ladybug birthday for her 2nd (I’m possibly thinking bumblebee for the 3rd but that may change). I love the idea about freezing the blueberries in the ice. Very creative! Ive thought about doing a blog just because I’ve seen so many and gotten some great ideas. I found you on Creative Party Place. How did you start your blog? You have been so nice and helpful. Thank you!!! Thanks, Sarah! I’ll send you an email about the blog. It’s a little intimidating at first, but overall it’s pretty easy! I love your blog. I have a one year old coming up too. I just ordered the 1 I’ve cube trays but I only got one and now know u should have ordered more. Did you get yours locally or did you order them online, do you mind saying where? I might have to order another one or I’ll be making ice cubes in my sleep!! I actually only ordered one. 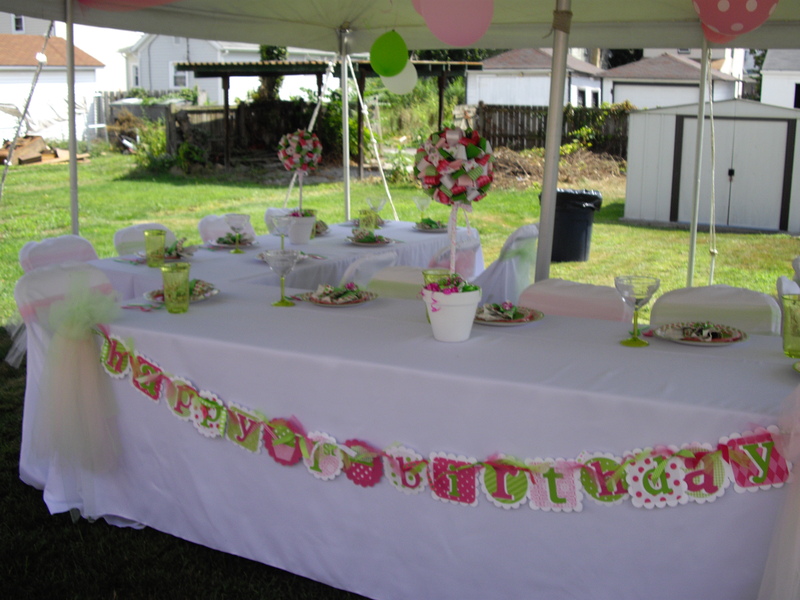 Since I was so busy with my one year old at the time and also making centerpieces, etc. my Grandma volunteered to make the ice cubes for me. She started weeks in advance and put the finished cubes in ziplock bags. Poor dear just filled ice cube trays all day long for days! Thanks, Julie! 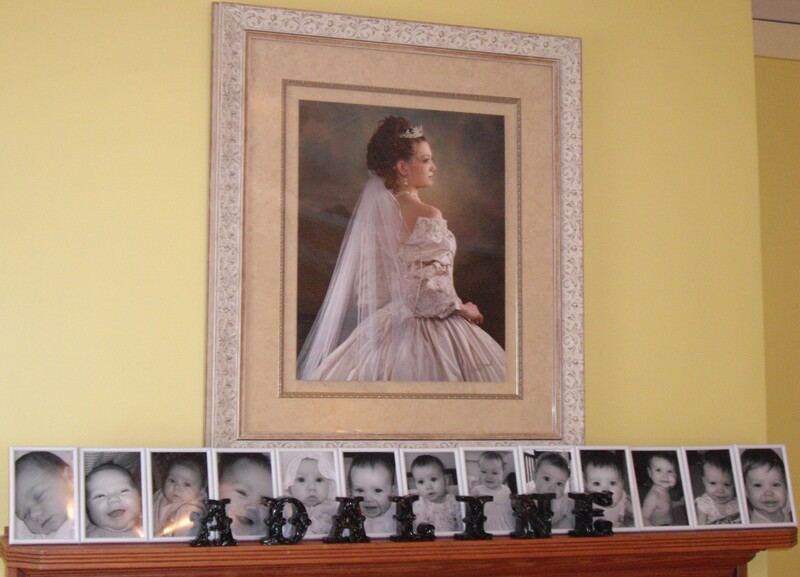 I’ve seen so many cute and creative photo timeline online…but sticking them in cheap frames was by far the easiest and quickest! 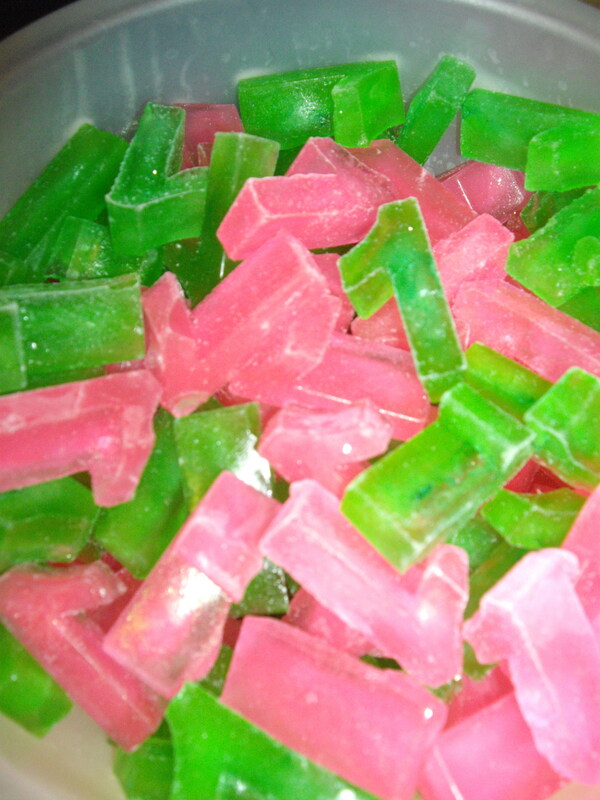 what kind of food dye did you use to do the ice cubes and how much to get it that color?? My mother actually dyed the water for the ice cubes. 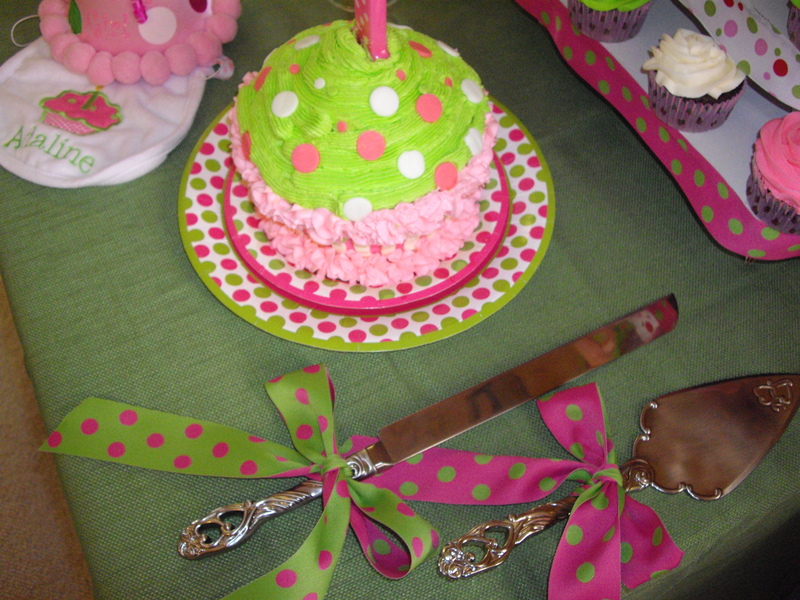 I’m not sure how much she used, but she actually used cake decorating dyes. You can also try food coloring, Kool-Aid, pink lemonade, etc. 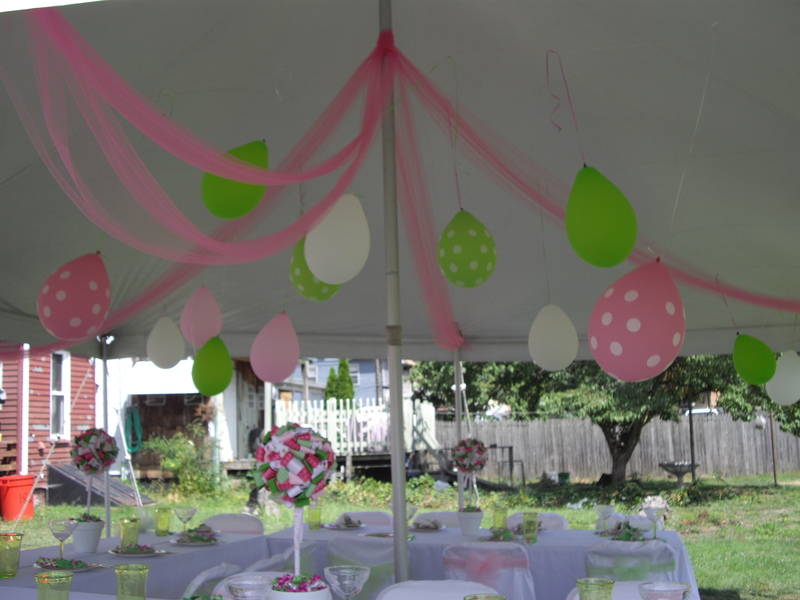 I am throwing a Birthday Party for my baby sister and she was born rite before st. patricks day and our colors we are using is pink and green also. I would love to know how to make those ice cubes they are precious (: Can you please tell me how you made them ? 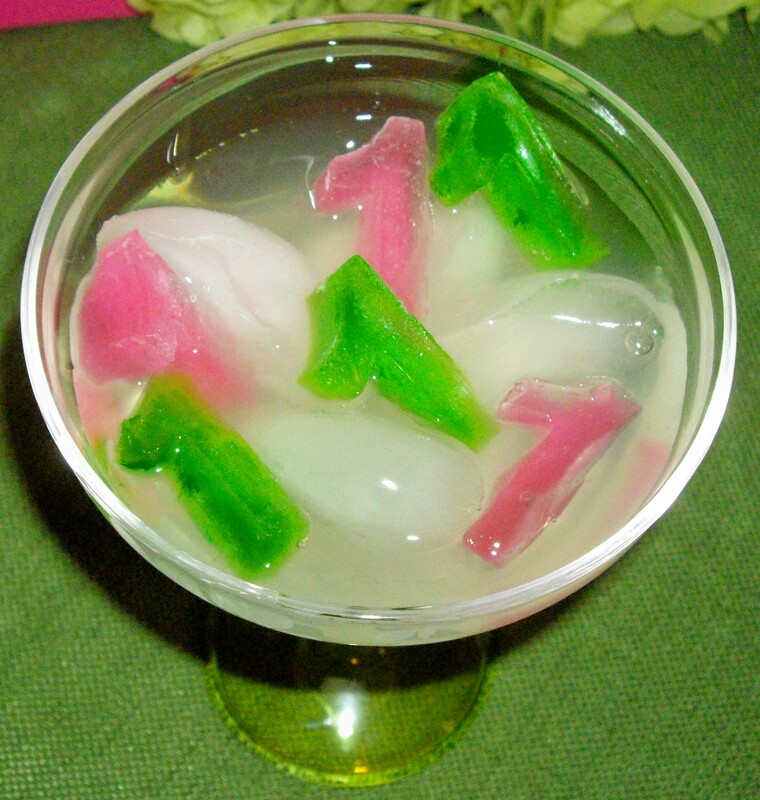 I used number 1 silicone ice cube trays that I bought on Amazon.com to create the #1 shape. The dye was cake decorating dye. You can also try food coloring, Kool-Aid, pink lemonade, etc. Gina, that’s so exciting! That’s so crazy that the girls have the same name, same first birthday theme, and their birthdays are so close (although years apart). 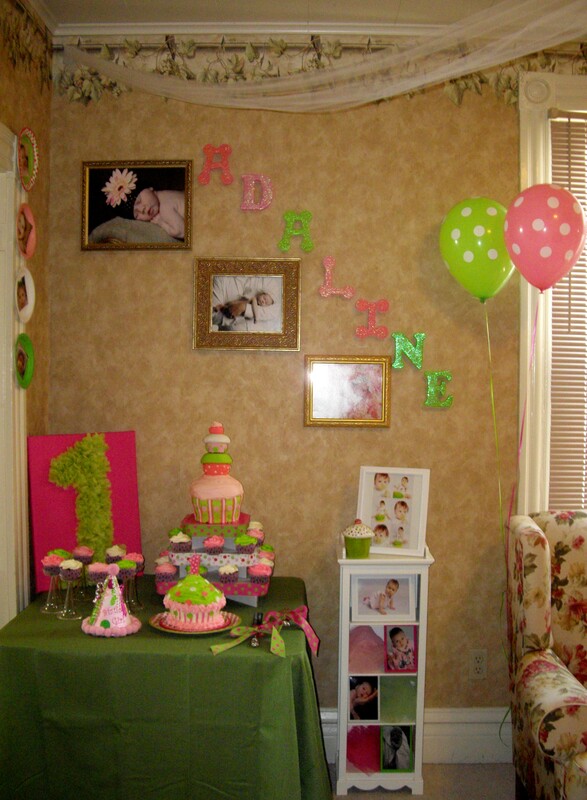 I actually wrote two posts about how Adaline got her name and why I spell it “wrong”. Now I’m curious as to why you went with the alternate spelling as well. I’m so glad this post was helpful to you. I’d absolutely LOVE it if you could send me photos of the party afterwards and I’d feature it here on the blog (with your permission, of course). 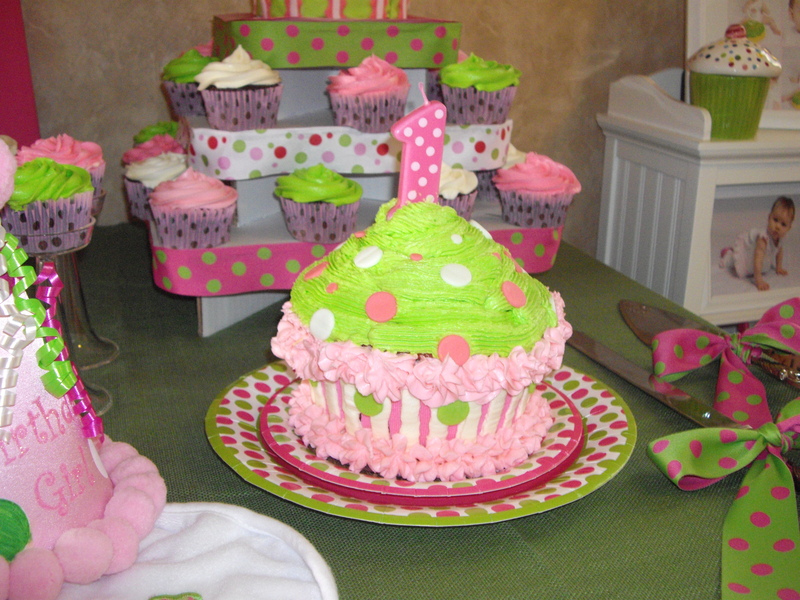 It’d be kinda neat to have 2 different Adaline 1st Birthday Pink and Green Cupcake parties on here! 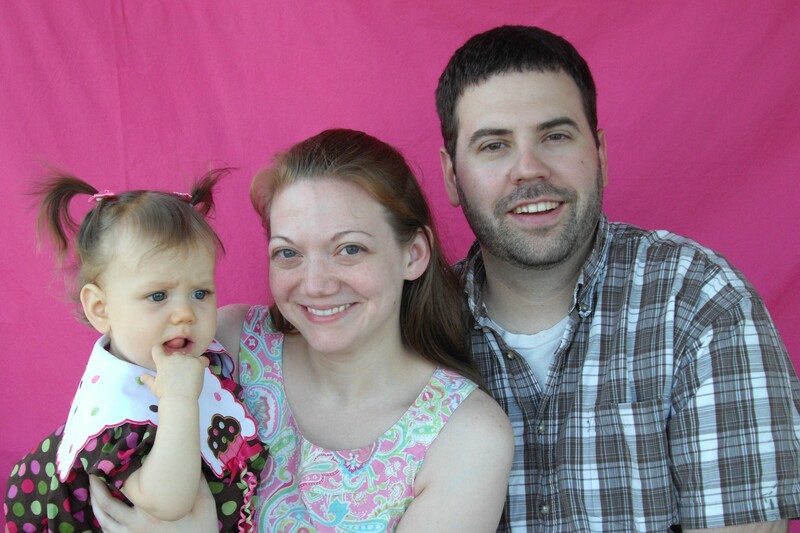 My husband’s brother Adam passed away 11 years ago and we had decided that if we had a little girl her middle name would be Mada (Adam spelled backwards). 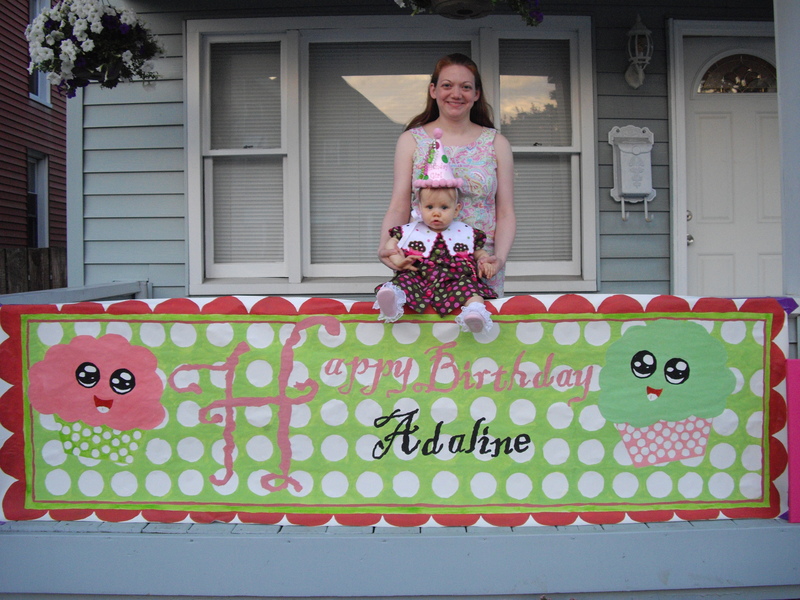 So, when we decided on the first name Adaline (my husband was not a fan of any of the newer names that I had put on the list) I quickly planned to spell it “Ada” because Adam begins with “Ada”. So that is why we spelled it “wrong.” I am also picky about the way that people pronounce names so I assumed that this way would be without a doubt hardest to mispronounce. And that is why her name is Adaline Mada. Also, I will be sure to send pictures of her 1st birthday to you! It will be fun to share! You can buy pink lemonade from the store. We probably used Countrytime. It comes in powder form or frozen. I used number 1 silicone ice cube trays from Amazon.com to create the #1 shaped ice cubes (there is a link in the post above). We colored the water with cake decorating dye before freezing. Please read all of the comments and my replies above for more details about the ice cubes.